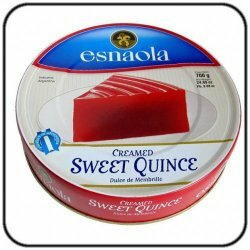 Quince paste is delicious treat served with wine, breads and a cheese platter. Dulce membrillo from Esnaola Argentina is used in traditional Argentine pastries such as Tortas, Pastafrola, Facturas, and Pastelitos. Quince paste is known in South America as "Dulce de Membrillo". Sweet potato paste is delicious treat served with wine, breads and a cheese platter. Dulce de..